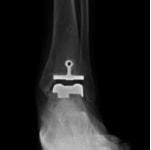 Ankle joint replacement is emerging as an alternative to fusion in the surgical treatment of severe ankle arthritis. Restoring normal ankle joint function through a replacement can result in a reduction of pain and lead to a more normal walking cycle. Unlike the knee and hip, which are prone to develop primary osteoarthritis, the ankle usually develops arthritis because of a traumatic event such as a fracture or long-standing instability due to a severe sprain. The primary indications for a total ankle replacement are primary osteoarthritis, post-traumatic arthritis as well as rheumatoid arthritis in those patients who have failed conservative treatment. Studies are demonstrating that the results of ankle replacement are very good and the outcome from a functional standpoint, are actually better than a fusion. With a fusion, the ankle joint is glued together and the up and downward motion is lost. An implant will allow that motion to continue and will lead to better function of the joint. This movement is important for walking, exercising as well as routine activities of daily living. 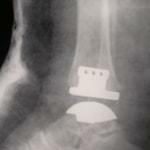 Patient selection is critical with respect to the overall success and long-term longevity of a total ankle replacement. 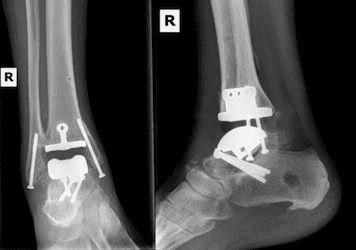 The surgeon must take into account the age of the patient, weight, activity level, quality of bone as well as co-existing deformities when considering an ankle replacement. Not all patients with arthritis of the ankle are candidates for an implant and a different type of procedure may be a better option. All possible treatments for ankle arthritis can be explored in a short visit to the office with Dr. Cottom. Dr. Cottom has extensive experience with total ankle replacements being involved in hundreds of cases over the last 10 years including revising implants that have been placed by other surgeons. He is the only fellowship-trained foot and ankle surgeon who is certified on all 10 FDA approved total ankle implants in the region. Furthermore, Dr. Cottom has implanted more total ankles than any other surgeon in the region with excellent results to date. It is very important to find a surgeon who has extensive experience in this complex surgery. Studies have shown that surgeons who have not performed many ankle replacements, do not have as good outcomes compared to those who have extensive experience. The bony anatomy of the ankle joint helps determine the planes and range of joint motion and allows for a high degree of stability when the joint is loaded during the walking cycle. The three bones that form the ankle joint are the tibia, fibula, and talus which all support three sets of opposing articular (joint) surfaces. The bony anatomy, ligaments, and joint capsule guide and restrain movement within the joint. 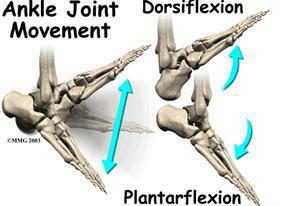 The talus has a continuously changing axis of rotation as it moves from maximum dorsiflexion (upwards motion) to maximum plantar flexion (downwards motion) relative to the mortise. The talus and mortise widen slightly from posterior (back) to anterior (front). In most normal ankles, the soft tissue structures, including joint capsule, ligaments, and muscle-tendon units that cross the joint, prevent significant translation of the talus relative to the mortise. The bone ends of a joint are covered with a smooth material called cartilage. The cartilage cushions the bone and allows the joint to move smoothly without pain. Arthritis occurs when there is deterioration or destruction of joint cartilage. The normal smooth lining of a joint surface becomes rough and irregular, which causes pain. Unfortunately, the body cannot repair the damaged cartilage. Arthritis can occur at any joint in the foot and ankle region, although the ankle joint itself is most commonly affected. There are different types of arthritis, including osteoarthritis, rheumatoid arthritis, and post-injury (or post-traumatic) arthritis. Osteoarthritis (OA) is partly due to a familial tendency, and partly an inherent consequence of aging. People usually begin feeling the effects of osteoarthritis in their 60’s. Rheumatoid arthritis is characterized by joint inflammation affecting numerous joints, and often begins at a young age. As the name implies, post-injury arthritis occurs as a result of a single or recurrent injuries to a joint surface such as fractures or sprains. The severity of the condition, the extent of pain and the ability of the patient to tolerate walking with a painful stiff ankle determine the treatment of ankle arthritis. Like most other forms of arthritis, conservative treatment is initiated first. This can be done in the form of rest, immobilization of the ankle joint, arthritis medication and in some cases an injection of cortisone or a regenerative medicine product into the joint. The success rate of the surgery is comparable with knee and hip implants now that we have better implant designs and more experienced surgeons. Currently, there are 10 total ankle replacements that are approved by the Food and Drug Administration (FDA) in the United States. Dr. Cottom is the only foot and ankle surgeon in the region who is certified to use all 10 implants. After a detailed exam in the office, the appropriate implant will be selected if the patient is a candidate for an ankle replacement. STAR Total Ankle Replacement: is the ONLY 3 piece implant available in the United States. 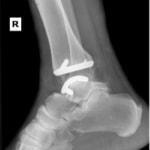 It has 2 pieces of metal that cover the distal end of the fibula and covers the talus. In between lies a separate poly or plastic that rotates independently of the metal. This helps with distributing forces across the implant in a more anatomic fashion. The data from the United States since 2000 is very promising in regard to this implant. Dr. Cottom has implanted hundreds of STAR implants since 2010. 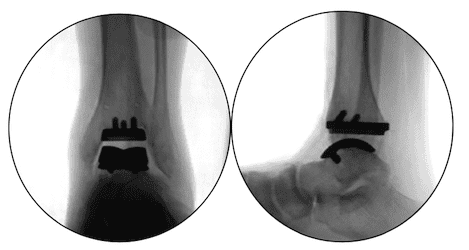 Salto® Talaris Total Ankle Replacement: is a 2 piece implant with mobile bearing instrumentation that is designed to reproduce the natural flexion and extension of the ankle with an anatomic design. 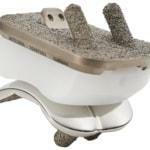 Salto Talaris XT Revision Total Ankle Replacement: is a revision system that was released in early 2014. It allows for revisions to be performed of Salto Talaris implants as well as other implants. Dr. Cottom has revised many implants with this new system with excellent results to date. In addition, this implant works very well with takedown fusions. In select cases, it may be possible to revise a previous fusion to a total ankle. Dr. Cottom has experience with this complex procedure and is willing to talk with potential patients about this type of procedure. 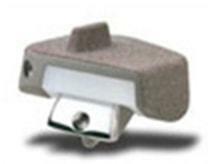 Infinity with Prophecy Total Ankle: This implant is unique in that it is compatible with PROPHECY™ Pre-Operative Navigation Alignment technology. PROPHECY™ technology uses CT scans to create ankle alignment guides unique to each patient. These guides play an important role in the overall success of the ankle replacement procedure because they allow surgeons like Dr. Cottom to properly size, place and align ankle components during the surgery. The Integra Cadence Total Ankle System: is designed to treat ankle arthritis through replacement of the ankle joint with a prosthesis, thereby reducing pain, restoring alignment, and allowing for movement at the replaced joint. 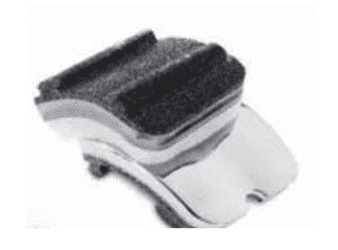 The prosthesis is composed of a tibial tray, a talar dome, and an insert. Both the tibial tray and talar dome are secured to patient anatomy; the insert is rigidly fixed to the tibial tray intra-operatively. When all three components are implanted, the insert acts as a bearing along the talar dome, enabling flexion and extension movement at the replaced joint. Each of the three components is available in a variety of sizes and design configurations intended for both primary surgery and revision surgery applications. The Vantage Total Ankle Replacement: Based on proprietary CT reconstruction data, the tibia and talar components were designed to mimic patients’ natural anatomy. The curved talar component was created to align with the trabecular bone structure of the talus and the tibia to provide anatomic cortical coverage and account for fibular articulation. The Agility™ LP Total Ankle Replacement: is a fourth generation design that is based on over 20 years of clinical experience. It however, is not available anymore. Dr. Cottom has treated numerous patients who had this implant put in at outside institutions with either a revision total ankle replacement or fusion.